Images on this site are copyrighted by Scott Camazine. 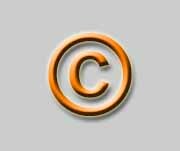 As such, they are protected by United States and international copyright law, and may not be copied or reproduced in any manner without permission. If you wish to use any of these images, please contact me. Non-commercial publication of my images on websites or in print are encouraged and will be granted without a fee. If you wish to publish an image for non-commercial use, please credit the image in your publication or on your website (e.g. : "Photo © Scott Camazine) and contact me to let me know how you plan to use the image. For the commercial use of images on this site please contact me for fees and licensing information by email or phone.